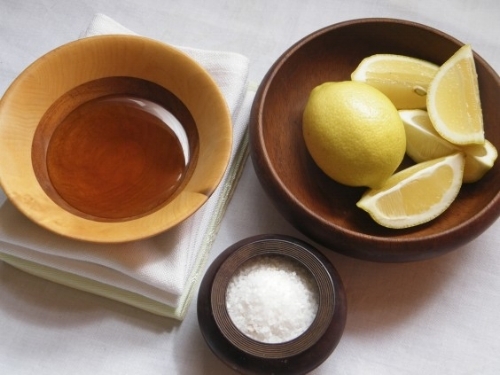 Sugaring (Sugar Waxing). What It Is and How It Works. Many new Sugaring clients have make a comment that makes me think I need to write a blog to tell you all exactly what Sugaring is and what it is not. Quite a few clients have come in for their appointments, and been surprised when I show them the jar of sugar paste. Because they have never heard of Sugaring they think I am going to put sugar on them (granulated sugar) and somehow remove their hair. I wish it were like that. That truly would be sweet and pain free hair removal. However, that isn’t exactly how Sugaring works. The ingredients of sugar paste truly are ONLY sugar, lemon juice and water, but they are combined and heated so they create a sticky paste that is a phenomenal way to remove unwanted hair. I purchase my Sugar from a wonderful company called My Gold Sugar that makes an awesome professional sugar paste. The owner Grace Powers has been Sugaring for many, many years and is dedicated to educating and supporting Certified Sugarists. Because sugar paste is made from sugar, lemon juice and water it is natural and has NO chemicals or additives in it. This is awesome, because most hair removal waxes (both hard wax and soft wax) have chemicals added in to make them smell a certain way, or be better for sensitive skin, etc. Additionally, both soft and hard wax have ingredients added to them that can be allergenic for some people. Since sugar paste is used at room temperature, there is no possibility of being burned when you are Sugared. Wax is heated and then applied, and anyone who has been burned by hot wax (raising my hand here) can attest to how uncomfortable that is. Also, the sugar paste only adheres to hair and dead skin cells so there is no way for you to have any live skin removed. Anyone ever had their skin taken off with the wax? (Raising my hand for that too). In fact I have permanent light areas above both my eyebrows from damage to my skin caused by pulling my skin off during eyebrow waxing. Sugaring does not pull your skin; therefore it is safe for use ANYWHERE, which is why it is such a wonderful medium for Brazilians. Sugar can safely get ALL the hairs, even inside the labia. To prep the skin for sugaring I spray some witch hazel on a gauze pad to clean the skin, and then apply powder to ensure the skin is dry. (Sugar paste doesn’t adhere well to damp skin). Once that is done I put on clean gloves and grab a ball of sugar paste to apply and remove the unwanted hair. One of the great things about sugaring is I use the same ball of sugar on only one client so it is hygienic and not wasteful. No sticks or strips to fill up a landfill. Once I have completed the Sugaring service I simply remove my gloves with the sugar ball inside and throw it away. Besides being completely chemical free, and applied at rom temperature, sugar paste is also different from wax in the way it is applied and how it removes the hair. Wax (both soft and hard) is applied in the direction of hair growth and pulled against the direction of growth. As you can imagine this can cause many hairs to break and the Esthetician unable to remove the entire hair from the skin. With Sugaring, the sugar paste is applied against the hair growth and hair is removed in the direction it grows. The benefit of this is that it hurts less (however it is NOT painless) and because you remove the hairs in the direction they grow, you are more likely to remove the entire hair, making it take longer to grow back!! With Sugaring clients can expect the hair to stay gone for 3-4 weeks, and as they get Sugared regularly that can even go to 4-5 weeks of hair being gone. Whaaat??? When you schedule your sugaring appointments monthly you will have the best results from Sugaring. This is for a couple of reasons. Firstly, hair grows in stages, and it is possible for some hairs to come back within a few weeks if they were in the final stage of growth (Telogen) when they were removed. During this stage of hair growth there is already a new hair at the root pushing that hair out and a new hair was already on its way to the surface. When you get Sugared monthly. After a few sessions, all of the hair will be growing in the same cycles, and this won’t happen. Secondly, because Sugaring removes the hair at the root, it is possible some hair follicles will become damaged and those hairs may not grow back at all, or if they do they can be finer and softer. Yes please!! Hopefully, this has answered some questions you may have about Sugaring and how it is done as well as the results you can expect. If you are now ready to book your Sugaring appointment, simply head to Sugar and Skin Spa website, click the Sugaring Services tab on the website and book your Sugaring (Sugar waxing) appointment now! Is This How You’re Going To Be More Efficient? In business, you’ll want to do know that you’re doing everything you can to find success. And the way you go about that is going to be something personal to your business, your skills, and what your specific customers want. However, whilst you’re working that out, it’s definitely important to make sure that you’re being as efficient as possible. Because when you’re company is operating efficiently, you know that you’re doing everything you can find success. Yet, more often than not, we can find ourselves just trying to keep our heads above water in terms of how we operate. Yet that’s not going to get you to where you want to be. So let’s take a look at the ways that will allow you to be more efficient. First of all, something that will help you immensely here, is the ability to have a system for just about everything you do. Because creating systems may involve a little work up front, but they can then speed things up, save you time, and make you more money in the long run. And that’s the beauty of them. By automating the majority of what you do, you’re going to be at peak efficiency at all times. Now, it’s hard to make sure that everything you do does count towards the success of your business. But before long, you’ll realize that wasting your time is something that only ever hurts yourself! So make sure that this doesn’t happen by avoiding procrastination and cutting out anything that isn’t productive or efficient. Another thing that can help you here is the tools, or the equipment, that you’re using. Because making sure that you’re supplied with the best equipment for your field, from an ultrasound machine to the latest CRM software to coordinate client information, will help. If you have the best software, equipment and products, then your everyday work is going to be more advanced, and this will lead to improved efficiency. From here, you might also like to think about how you can outsource things that take too much time, or that you’re not skilled at, to experts. Because you are going to take work of your to-do list and have more expertise and value added to what you’re doing instead. And this will always ensure that you’re more efficient. But then finally, if you do want to make sure that you’re being as efficient as possible, then you need to be aware of what’s going on in the company at all times. Things that can help you here, are the ability to see top level stats at the right time, to know that you’re aware of any outstanding orders or queries, and to know what works for you and what does. The more aware of what’s going on in your company you are, the more efficient you can be at keeping things running. If you are thinking of opening up a restaurant business, you might well be excited to enter this particularly fast-paced and intriguing kind of doing business. 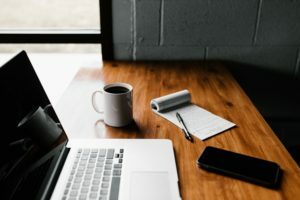 The truth is that there are many challenges likely to face you here, but that as long as you are aware of what they are, you should be able to keep your business running strong. As it happens, there are many things in particular that a restaurant might need in order to succeed, and as long as you are aware of them, and you are doing whatever you can to bring them about, you will find that you can much more effectively keep your restaurant business going strong for as long as possible. Let’s take a look at what those needs are, and how you can manifest them in your new restaurant business. Obviously enough, you need to be confident on the food itself if you are to make sure that your restaurant is as successful as possible, and this is something which you can be sure that you need to focus on from the very start if you want to do well in this particular industry. The best way to be sure of the quality of the food is to hire the best chefs you can find. 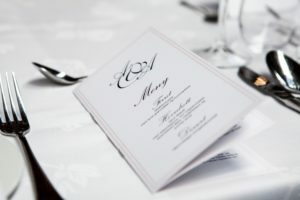 But it also helps if you have some kind of a theme to work around – or at the very least, if you know what kind of range of food you are going to be offering in your restaurant. With that in mind and clear to all, you will find it much easier to make sure that you are providing the best food you can, so it is definitely something to be aware of. The better the menu, the more likely it is that your restaurant will stand the test of time, so this is not something to overlook. This is one kind of business where the happiness levels of the staff really do affect the experience the customer has. Therefore you will want to make sure that you are focused on keeping your employees as happy as possible at all times if you are to run a restaurant that you can be proud of. There are many ways in which you can be sure of this, and it is best to start with the basics. Ensuring that you pay fairly, offer great benefits, and treat people well, is likely to help you a lot here – as is making sure that everyone feels like a genuine close team. You should also however think about what you can do to make life easier for your employees, as the easier it is for them, the more likely it is that they will be able to provide the best possible experience for your customers. You can achieve this by looking at what to look for in free employee scheduling software, using that software and making sure that your employees are scheduled properly. You will find that this alone makes a huge difference to morale levels, and therefore to the experience the customer has as well. You will also find that there is a great deal of importance in this kind of business placed on the decor and internal design of the building itself as well. If you can be truly happy with the decor, you will find that it makes for a much nicer place to work, and more importantly a much nicer place to eat, and as such it will mean that you can much more effectively keep things running as strong as possible. There are a number of things to consider when it comes to the decor. First of all, you should endeavor to make sure that you are keeping it in theme, if you have a theme, and that you are likely to keep it clean at all times too. If you can do that, and if you can make sure that it looks its very best at all times, you will find that it really does affect atmosphere – and that is something which can ensure a much more successful restaurant more than most other things. 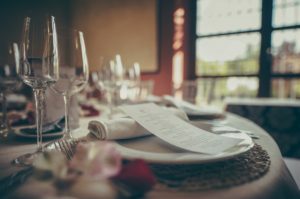 Focus on getting the decor right, and you will find that your restaurant is likely to do much better than you might have even thought possible. 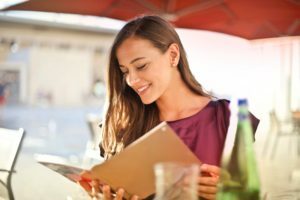 As long as you get these elements right, your restaurant is much more likely to succeed, so make sure that you are focused on these as best as you can be at all times.